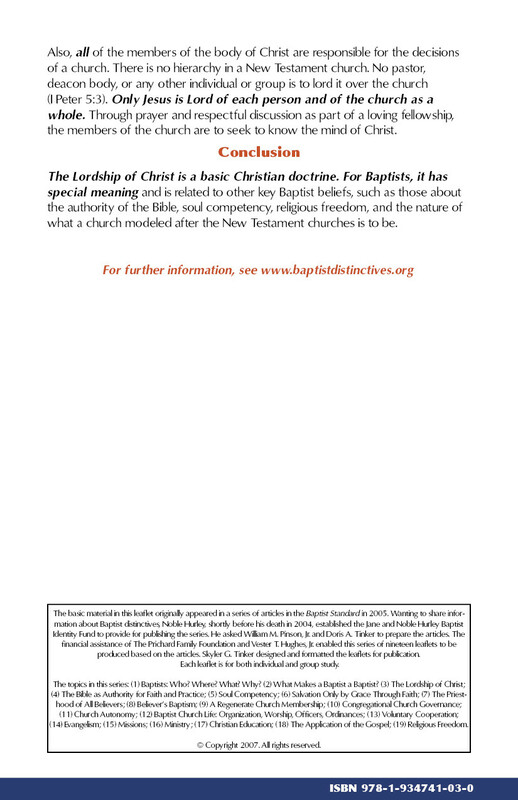 Read the articles and use the website information to gain better understanding for yourself of Baptist beliefs, polities, and practices. Share the material and the information person-to-person with family and friends. 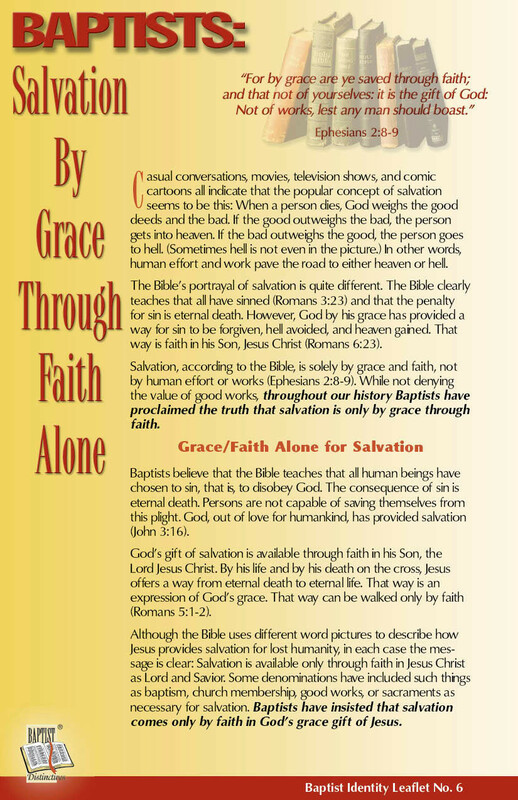 Use the material as the basis for a group study, such as Sunday School class or other Bible study or group gathering. 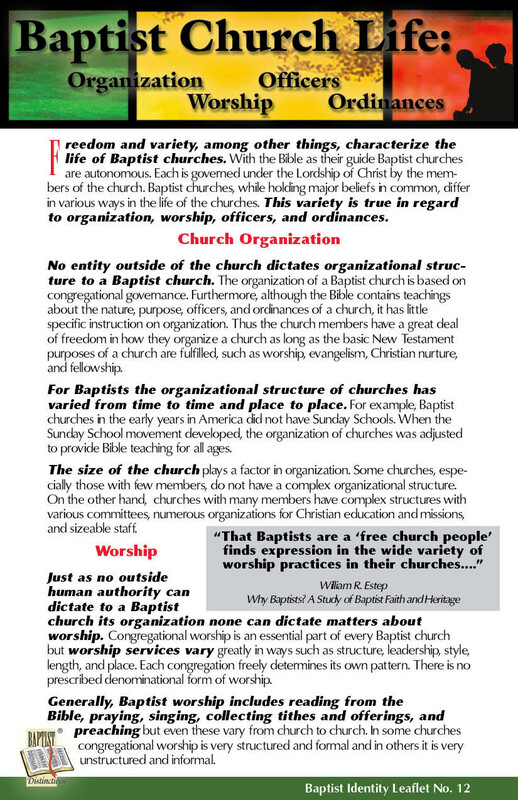 Make copies of the articles and use them for posters or handouts in your church or Sunday School class. 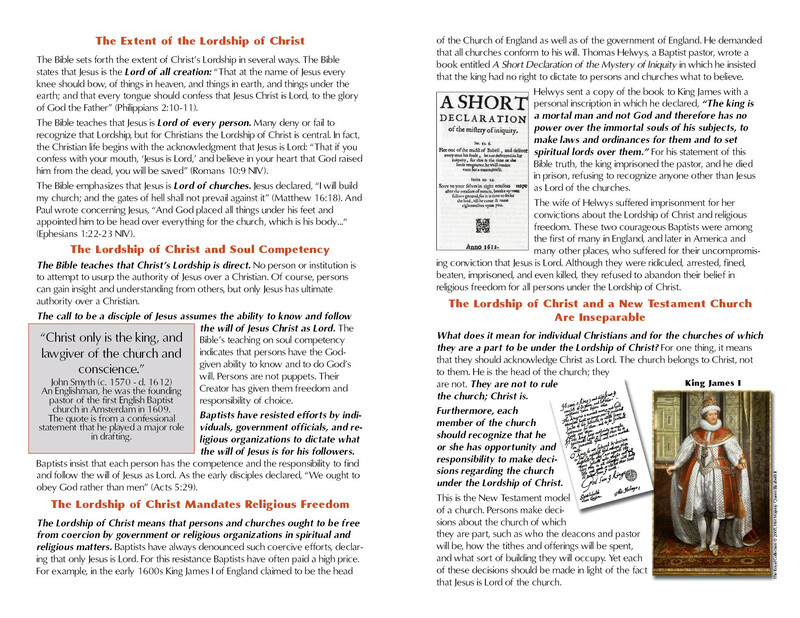 Utilize the materials as the basis for a new members class in your church. 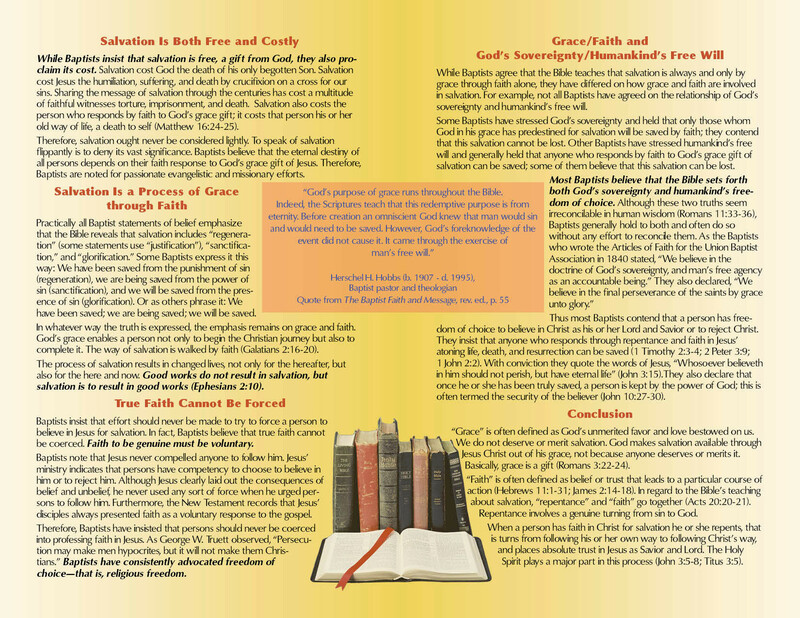 If you are a teacher of a class — Sunday School, college, seminary — use the materials to supplement the class resources. 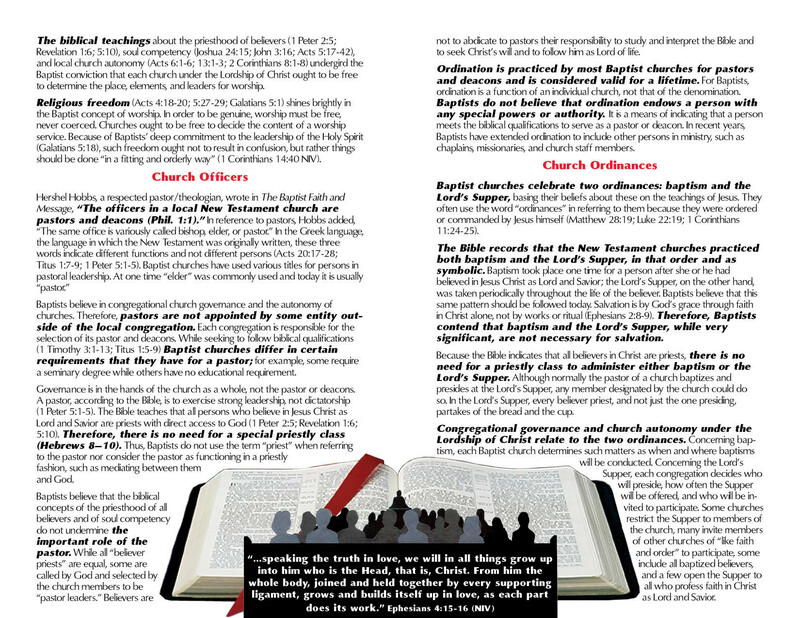 If you are a pastor, use the materials as a resource for a series of sermons on Baptist beliefs, polity, and practices both for personal study and for handouts. 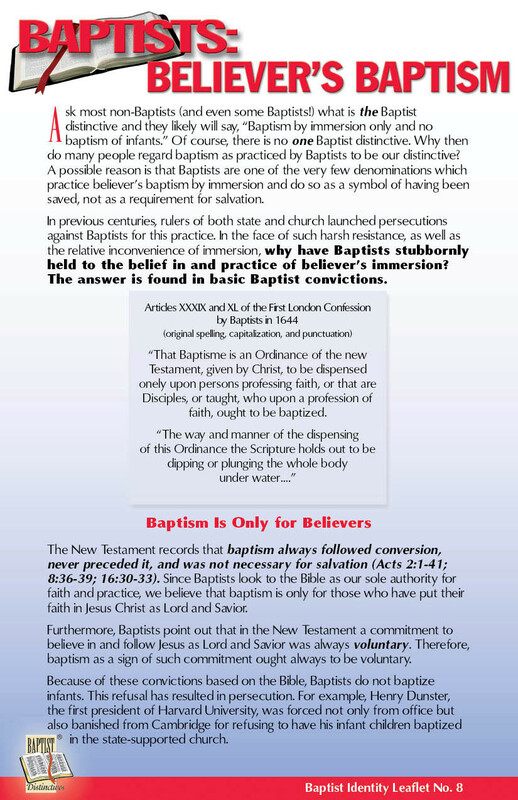 Use the on-site resources of this website — Bibliography and Other Sources — to find additional information on Baptist beliefs and heritage. 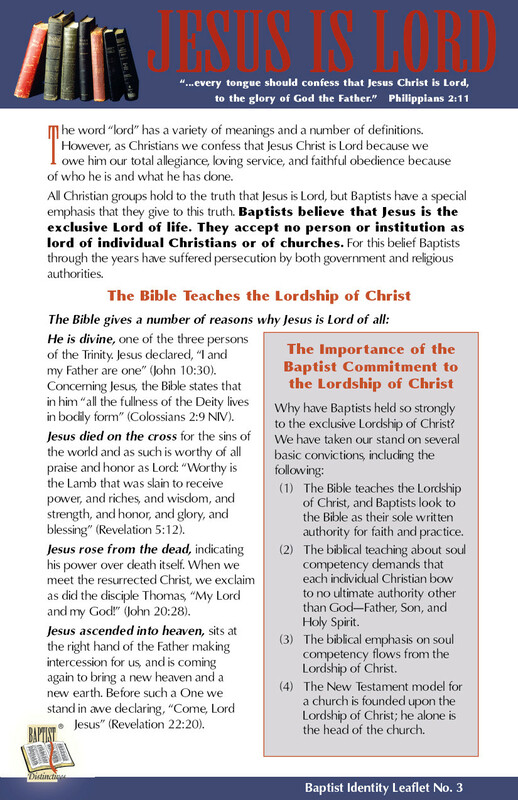 Order the materials in the Baptist Identity Series and utilize them in personal and/or group study. 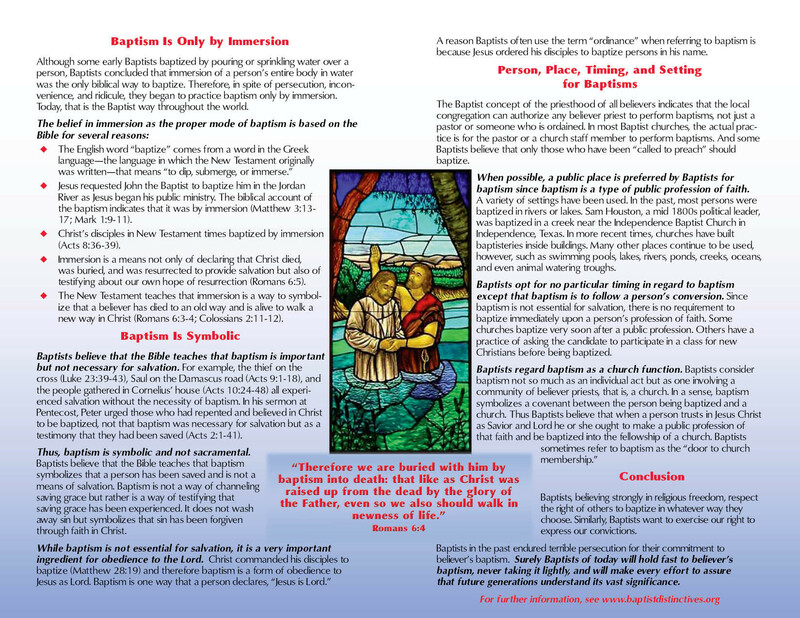 See the “Ways to Use the Baptist Identity Series“ section of this website for information on use by individuals, churches, associations, institutions, state and regional Baptist entities, campus ministries, and national or international organizations. 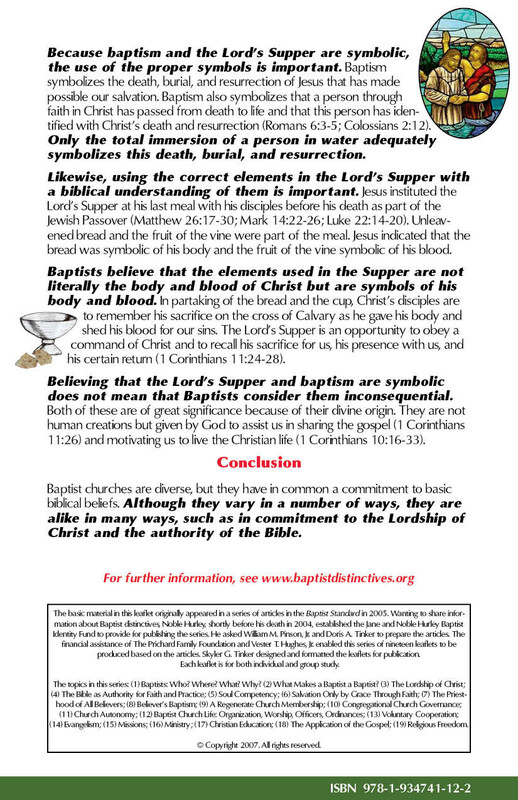 As you discover or develop other ways to use these materials, please let us know and we will share them with others. Please refer to the Contact Us section of the website for information on how to send us these ideas.